Take action and make your short-term volunteering dreams a reality... today! By now, you have probably researched some of the many organizations out there who offer you the amazing opportunity to volunteer abroad and make the world a better place. These organizations work with local partners around the globe and provide much needed aid to disadvantaged communities, people in need, and environmental conservation groups working hard to save the planet. During your search for the perfect volunteer abroad experience, you have likely read through many different programs and experiences offered. Is there a particular project or destination calling out to you? Have you decided on the cause that you would like to help with? Think you have found the best project for you? Great! You can now move on to the application process! Booking well in advance for your volunteer abroad program will give you the necessary time to plan ahead and make all the many preparations you will need to. Traveling to a new country, immersing yourself in a new culture, and working hard in the service of others will change your life forever, but it is also a big undertaking and something you will need to spend quite a bit of time and effort to get ready for. The first step after selecting your dream project is to apply. In this section, we will try to address the most commonly asked questions on how to apply for your volunteer project. There are a number of steps you will need to take to apply for the volunteer abroad program of your choice, and to make that process easier for you we have broken things down for you. How far do I need to apply? The amount of time needed for applying to volunteer abroad differs for every individual. Someone with a lot of experience traveling abroad may only need two months to get all their paperwork and necessities ready, while a complete beginner could do with some extra time. Another factor which determines how far in advance you need to apply is which organization you are applying through, and also which project you would like to work at. Some projects might have limited availability or be extremely popular, and these will likely fill up many months in advance. If you select one of these programs and attempt to apply with short notice, that project may already be full for the time period you are available to travel, and you might miss out on your first choice. Applying many months before your desired date of travel will give you the best chance at being able to work at the project of your choice. Ideally, you should book your program a minimum of three months in advance before the starting date of your volunteer experience, so that you can have a stress-free prep time. There are several things that you must prepare prior to your travel, and we will go into these things in detail here to help you get ready for your volunteer experience abroad. First and foremost, make sure that you have a passport which will be valid throughout the entire duration of your volunteer experience. Most countries will require you to have a full page clear for stamps, particularly if you decide to extend your stay once you are abroad and end up applying for an extension of your visa. Applying for and receiving a new passport can take a lot more time than you would expect, so you need to be certain that you have all this in order well before your travel date. If you do not have a passport already, or if it will expire during the dates of your travel, you can usually pay a fee to expedite the processing time if you are hoping to speed things along. Even then, it can still take a few weeks, so make sure you give yourself plenty of time. You may need to have your photo taken ahead of time with specially sized prints, and this service is often offered at various photo locations, post offices, or at passport agencies or acceptance facilities. One of the most important steps when traveling abroad is applying for and receiving a visa. This process will vary greatly based on a number of factors, including which country you are traveling to, your home country, the length of time you will be traveling, etc. Most often, the type of visa you will need to volunteer abroad is a tourist visa. The first step will be to visit the website for the embassy of the country you are headed to. Pay careful attention to what the requirements will be for you based on your home country. In some rare cases, you may not need a visa at all. In those cases, just be sure to have an up to date passport to travel with. In other cases, you may be eligible to apply for a visa online, or to apply for a visa at the airport upon your arrival. However, it is always a good idea to apply for and receive your visa before arrival if at all possible, to avoid any potential hassles or changes in policy. Even if you do not plan to extend your stay, make sure to read the rules and regulations for visa extensions in case your plans end up changing once you are volunteering abroad. Some countries have maximum lengths of time you can stay in the country per year, some countries allow you to extend your visa while in country, while others will not allow this. Often these requirements and regulations vary based on your own home country, so getting all the details before you travel will help you be prepared for all contingencies. The visa application process can be as short as a few minutes or as long as a few weeks, depending on the country you are applying to. Bear this in mind and do apply early! Another important consideration you will need to prepare for while volunteering abroad is getting vaccinated. International travelers should always get the proper vaccines to protect themselves since their immune systems are not built up to protect against diseases in foreign countries. Volunteers working at service projects abroad are at even greater risk for exposure to communicable diseases and should definitely receive all recommended vaccines prior to travel. This is because you are often working in rural or impoverished areas and coming in contact with poor people who may have no access to reliable healthcare and will often not be vaccinated themselves. You may be staying in areas with poor sanitary conditions, putting you at even more of a risk to contract water and food borne illnesses which vaccines can help to protect you from. Volunteers working with wildlife and in nature conservation programs may need even more vaccinations than the average volunteer. Rabies is a risk to those working in such projects, and this is a vaccination which can be somewhat costly and takes three boosters, so it is something that you need to undertake well in advance of your travels to protect yourself against. Also, animals in captivity have depressed immune systems and are at a higher risk of contracting communicable diseases from people providing their care, so be sure to get all the vaccines you need to in order to protect the wildlife and yourself. Some countries, such as Kenya and Tanzania, have a mandatory Yellow Fever vaccination requirement. If you have not received this vaccine and arrive to the country without proof of this, you will not be permitted entry. We advise you meeting with a knowledgeable doctor who is up to date on world health epidemics and discussing your travel plans. Your regular doctor may be able to do this for you or offer a recommendation to you regarding who you should see. They will let you know which vaccines you should acquire and administer them for you, as well as offering you advice on how to protect your health while traveling abroad. While you’re at the doctor, you should make sure to get any prescriptions written and fill these before travel, as you will likely be unable to purchase your prescription medication abroad. Vaccinations can take anywhere between one week and six months to be completed, so give yourself ample time to prepare! How do I apply for volunteer abroad program? 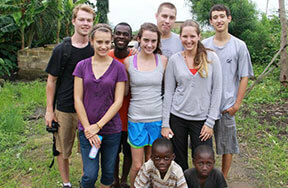 Are you unsure of how to apply for a volunteer abroad opportunity? Feeling overwhelmed with the wealth of information online? No worries! The application process is quite straightforward and we will guide you step-by-step along the way. Most international volunteer organizations offer online applications. Therefore, you don’t need to worry about postage costs and slow international mail delivery. Some organizations have downloadable pdf application forms on their websites for you to complete and email back to them. The application form can be quite long with very detailed information requirements. You will need to enter your basic information such as name, address, contact number, emergency contacts, and affiliated organization (university or company, if applicable). Some organizations will want you to write short essays describing your past volunteering experience, reason for applying for a volunteer abroad project, reason for choosing the host country, and your program preference. Take your time filling out the application and be sure to include any relevant information that will help the organization to find you the perfect placement. If you are applying for a medical or healthcare project, you will likely need to provide proof of medical certification from an accredited institution or a valid medical student id. Be sure to list any special skills, educational background, or professional experience which applies to the program you are applying and shows the organization what you have to offer the project. Once you have completed the form and checked it over for errors or omissions, it is ready to submit. Most often you will be asked to submit your application along with your application deposit (if required). The application deposit fee normally ranges between $50 and $500. Since this is often non-refundable, be sure to reach out to the organization first to have any questions answered or concerns addressed prior to submitting your application to them. VVolunteers often wonder what processes take place after applying to volunteer abroad. When you submit your application, the volunteer organization will usually forward it to its offices in the respective country you are seeking to travel to. There, the local staff will then vet your application. Applicants are filtered according to their level of interest in the cause, experience, educational background, and other applicable skills. These organizations are dedicated to supporting humanitarian causes as well as providing the best possible experience to their international volunteers, so they will carefully consider every detail and pick out the project that is best suited for you. Once the local staff finds the very best project placement for you, they will confirm the project’s availability and reserve your space. Next, they will begin making all of your arrangements for you. The best part of going through a volunteer abroad organization rather than striking out on your own is that they take care of every detail for you. They have traveled extensively in the country you want to volunteer in, and they have carefully selected ethical organizations to partner with that are doing amazing work to make the world a better place. They have chosen safe and secure accommodations and made affiliations with socially respected host families who are experienced in housing international volunteers. Once all of the arrangements for your volunteer trip abroad have been made for you, a confirmation will be sent to the head office of the volunteer organization. The head office will then send you a confirmation email together with all the details of your placement. Your placement details will include all the necessary information such as the project name, contact numbers of the program coordinators, detailed contact information of local host family and in-country staff, itinerary, visa requirements, vaccination requirements (if any), and other relevant information. How long will it generally take to get accepted? Is there any screening process? Can I be not accepted? When applying to volunteer abroad, applicants often wonder how long it will take before they receive confirmation on being selected for the program. It can be nerve-wrecking to wait for the decision, especially if you have wanted to volunteer at the particular site for a long time! However, you needn’t worry or wait too terribly long, as the selection process normally takes only between 1 and 4 weeks. Some international volunteer abroad organizations have a screening process for their applicants, mostly aimed to check your criminal background. This is an essential step for some volunteer programs, especially if you will be working with children and school kids, as protecting the safety and well-being of these vulnerable youth is extremely important. Generally, most volunteers will be accepted into a program unless they have a serious criminal background. There are exceptions to this, such as if you are interested in joining a medical or healthcare project, and do not have a background in this field. Generally, you are required to be a doctor, a nurse, or have an official certification from an accredited organization in order to qualify for these programs. You may qualify if you are a medical student and have a valid id proving this, but in this case, you will likely be primarily shadowing healthcare professional and learning through observation, which is still an incredible valuable experience for you. Do I need to pay to book? How much? When researching on how to apply to volunteer abroad, volunteers often ask whether or not they will need to pay a booking fee for their application. The answer would be yes for most international volunteer organizations. Most of the time, this booking fee is not a separate fee, but part of your total program fee. Booking fees are important to ensure volunteers are serious about their commitment to the project they are applying for. When you are selected for a program, a lot of background work goes into making the logistical arrangements before your arrival. There have been many cases of volunteering pulling out at the last minute when they have not paid any fees or put down a deposit for the program. All the careful arrangements that were made on their behalf then need to be cancelled, creating even more work for the volunteer organization and all of their partners who will have made space and time in anticipation of the volunteer’s arrival. Paying a fee upfront proves you are committed and will follow through with your volunteer experience. Another aspect of this is that the application fee may be needed to cover the operational costs of the volunteer organization which is arranging your trip. Some volunteer companies operate for profit and make what can sometimes be a great deal of money off of their international volunteers. Others, like IFRE, are non-profit organizations which do not make a profit off of their programs and do not operate them in order to make money at all. These organizations are motivated by their desire to make the world a better place, but to do this there are still basic costs of operation which must be covered, and in some cases your application fee is the only way for these organizations to continue to run their life-changing programs. Is there any refund if I cancel? A lot of volunteers tend to be confused about refund policies when they are researching how to apply for volunteer work abroad. Different international organizations have different policies when it comes to fee refunds. Some will refund fully, some may refund a portion of the fee, while some will not refund anything at all. Please check with the organization that you are planning to join and be fully aware of their refund policy prior to applying. We hope this section has cleared your doubts on how to apply for a volunteer abroad opportunity, and that you now feel prepared to embark on this exciting and fulfilling journey. You can find out more information by researching online as there are hundreds of websites offering you guidance on the application process. Here is a useful link!